...two deputy ministers of state challenging his right to purchase a state bungalow he lived in at the No 2 Mungo Street in the Ridge Residential area when he was a minister, are members of the NPP. Lawyer Chris Ackumey insists one of the Supreme Court judges is a former Regional Chairman of the NPP, whiles the political affiliation of the other is an open secret. He therefore wished the plaintiffs had objected to the two sitting on the case. “If I were Dr. Omane Boamah or Okudzeto Ablakwa I would have objected to two of the judges sitting and determining this case. Why do I say so? One of them is known to be an NPP Regional Chairman. The other one I worked personal with at the Internal Revenue Service…he was with the legal department when I was there and I know his political affiliation and anybody who has worked with IRS and associated with him knows his political affiliation. I would have thought that Dr. Omane Boamah and Okudzeto Ablakwa should have investigated the political background of these judges and opposed their sitting on the bench to discuss this matter,” he said. The Supreme Court, in a 9 - 0 decision, dismissed the claims of corruption, conflict of interest, abuse of office and cronyism writ filed by the two plaintiffs. And by a 6 – 3 decision, the court noted that the process used in acquiring the property, contrary to the claimants’ claims, was not unfair and illegal. The court further averred that the two deputy ministers failed to prove the conflict of interest allegation it leveled against the NPP National Chair, who the court said had the right under the constitution to purchase the bungalow in which he lived because he bought it in his capacity as a citizen and not a minister. One of the judges, Justice Brobbey pointed out that allegations of conflict of interest and corruption against any public officer needs to be proven beyond all reasonable doubt. He was also quick to stress that Ghanaians should not see the verdict as support for the practice whereby public officers exploit their official positions for private gain. The hearing was presided over by Justice William Atuguba. Other members of the Supreme Court panel included Justice Sophia Akuffo, Justice S. A. Brobbey, Justice Sophia Adinyira, Justice Rose Owusu, Justice Jones Dotse, Justice Baffoe Bonnie, Justice B. T. Aryeetey and Justice Vida Akoto Bamfo. The panel said the Plaintiffs should have rather taken the matter to the Commission on Human Rights and Administrative Justice rather than resort to the Supreme Court because the case did not border on conflict of interest. 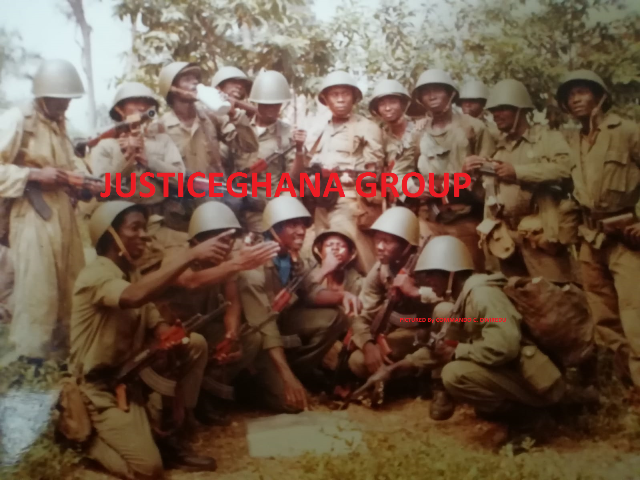 But not one to shy away from courting controversy, Chris Ackumey, who was part of the four lawyers who recently fell out of favour with the Association of Judges and Magistrates for alleging judicial corruption, described the ruling as the “worst Ghana judgment” ever to be delivered by a court of competent jurisdiction in an interview with Radio Gold. To him, the course charted by President Mills in reclaiming the Tema Ship Yard from the Malaysians, should have at least instilled “a sense of nationalism in our public officials to ensure national assets are protected”. Chris Ackumey, who recently vied to represent the people of Keta in the Volta Region on the ticket of the NDC in the parliamentary primaries held by the party in January, which was eventually won by Richard Quashigah, the party’s National Propaganda Secretary, said his own checks and investigations on the internet and social media reveal there is massive discontent by the electorate following the ruling. According to him, the Supreme Court’s landmark decision did not go down well with a lot of people. He expressed worry that majority of the judges who sat on the case failed to see the conflict of interest angle in the matter. “I don’t really blame them (judges) this is because it isn’t everything that is visible that you would see. Those ones that you want to see, you would see…This is a judgment of the court and it must be respected and just like Dr. Omane Boamah said, it can only be over turned by a review. And I wish that it will be done immediately because all hope isn’t lost,” he said. Meanwhile, barely 48 hours after the court’s ruling, government issued a statement saying it was no longer selling the property to the NPP National Chair. A statement issued on Thursday and signed by the Minister of Information, Fritz Baffour titled Government Will Not Sell Property To Jake Obetsebi Lamptey, said cabinet has revoked the decision to sell the property in the interest of the people of Ghana. "In the supreme interest of the people of Ghana, and taking cognizance of the Supreme Court ruling in the matter of Mr. Jake Obetsebi Lamptey's immoral acquisition of a State Property he occupied as a Minister of State, cabinet at its sitting today, Thursday May 24, 2012, has decided not to sell the said property”. "Cabinet has also decided that no political appointee should ever be allowed to engage in any such unacceptable transaction," the statement read. Related Commentary: What is Wrong with Ghana's Legal System?